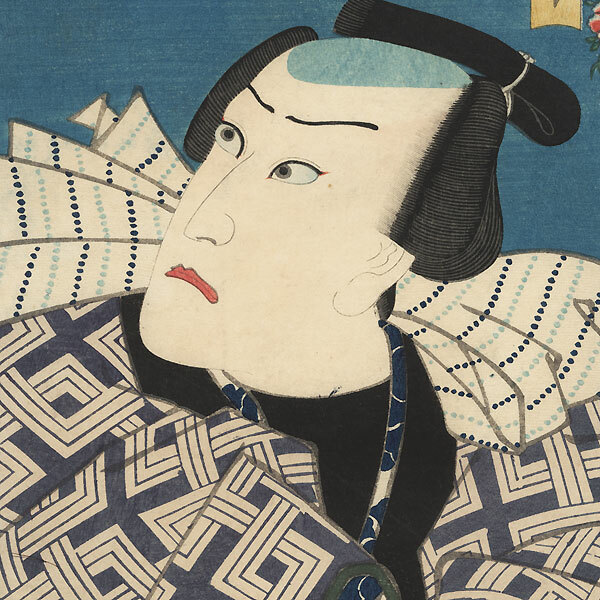 Dashing Roles in New Plays - Great design from Toyokuni III's 1860 series "Dashing Roles in New Plays," one of his fine late kabuki series. 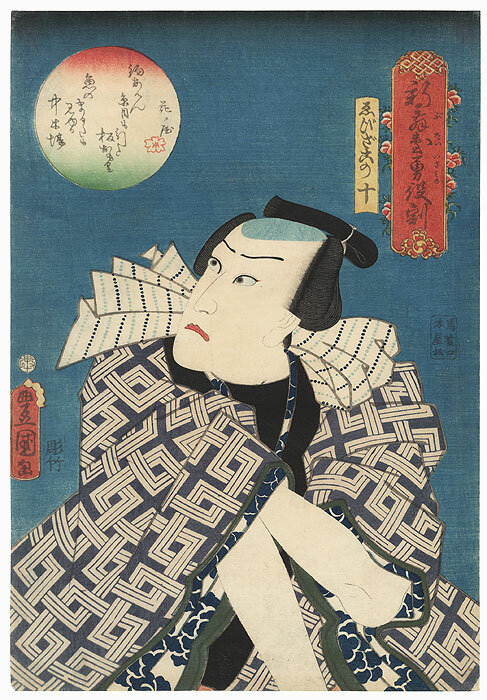 Each woodblock features a half-length actor in character set against a night sky, with a circular inset in the top corner containing text. The title cartouche is framed by different blossoms or leaves. These expressive figures are beautifully detailed with fine line work in the hair and bokashi shading in the backgrounds and circular insets. 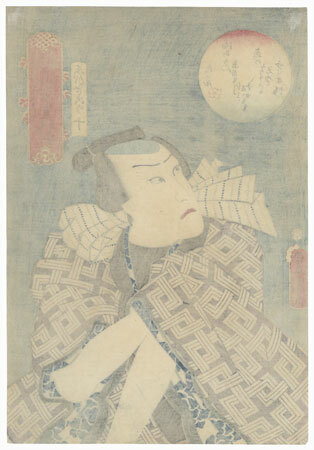 A nice example of Toyokuni III's mature style. Image Size - 14 3/8" x 9 7/8"
Condition - This print with excellent detail as shown. Slight paper remnants on reverse at top corners from previous mounting. Slight soiling. Please see photos for details. Good overall.